천혜정,(2017).IMF 외환위기 기억의 사회적 구성.사회과학연구논총,33(2),359-395. 본 연구의 목적은 IMF 외환위기 당시 범국민적으로 행해진 금 모으기 운동에 대한 기억이 어떻게 반복, 유지, 혹은 변화하면서 집합적 기억으로 재구성되고 있는지, 특히 한국의 정치사회적 변동과정에서 어떠한 변화 양상을 보이는지 밝혀보고자 하는 것이다. 이를 위해 IMF 구제금융 공식발표일인 1997년 11월 22일부터 2016년 12월 31일까지 금 모으기 운동에 대한 조선일보 기사 195건을 분석하였다. 분석결과는 다음과 같다. 금 모으기 운동의 시작과 전개 단계에서는 온 국민이 자발적으로 참여하고 있고, 모아진 금이 수출 흑자를 이루는데 중요한 역할을 하고 있으며, 세계가 우리를 다시 보는 계기가 되고 있음을 반복적으로 제시하였다. 이를 통해 외환위기를 극복할 수 있다는 대중적 희망과 정신적 위안을 제공하는 이데올로기적 효과를 거두었다. 금 모으기 운동이 공식적으로 종료된 이후 금 모으기 운동에 대한 기억은 시대적 환경이나 사회적 맥락에 따라 편의적으로 소환되어 도구적으로 다른 담론의 강화 및 확대에 활용되었다. 경제위기담론, 신자유주의적 시장질서 내지 재벌기업 논리의 정당화, 과소비담론, 박정희 정권에 대한 향수담론, 국민통합담론 등과 결합하면서 금 모으기 운동에 대한 기억은 재구성되고 있었다. 결국 금 모으기 운동이라는 역사적 사건이 가진 나름의 긍정적 혹은 자체적인 기억의 의미는 휘발되고 자의적인 담론 구성의 도구 역할에 복무하는데 그쳤다. This paper aims to investigate how the collective memory of ‘gold collection campaign’ has been reconstructed, especially in the relation with political and economic change in Korea. This study investigated newspaper regarding ‘gold collection campaign’ featured in Chosun-Ilbo from November 1997 to December 2016. While searching news articles about ‘gold collection campaign’, total 195 news articles has been identified. The results indicated that gold collection campaign was framed as voluntary patriotism. When it started on January, 1998, the news articles repeatedly reported how people voluntarily participated, how much it could be helpful to overcome national crisis, and how shameful not participating with self-sacrifice behavior for country. Emphasizing the patriotism of the Korean people, it blurred the right reasons for economic crisis by emotional things. Instead, ideological effect such as ‘we can do it’ was succeeded. After the official close of the campaign, it was articulated other discourse by restructuring process. 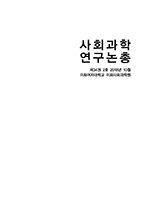 That is, the social memory of ‘gold collection campaign’ was reconstructed in combination with discourse of economic crisis, justification of Neoliberalism economic policies such as Pro-Chaebol, Capitalist-friendly policies, and labor flexibility, discourse of peoples’ over consumption, nostalgia for Park’s regime. Overall, it served only as a tool for constructing arbitrary discourses, and consequently critical reflection of historical event ws ignored.